This honey prune cake is super moist and easy to make. 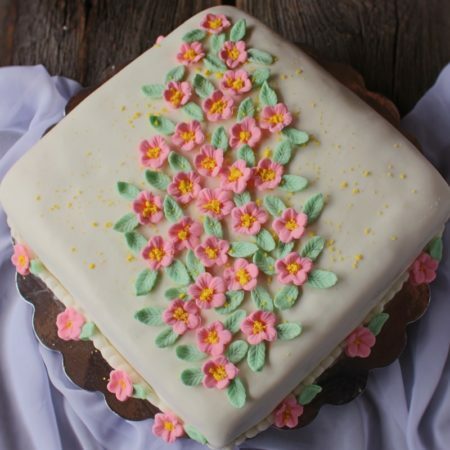 With 4 cake layers are sandwiched between a delicate cream frosting, and covered in a soft fondant frosting that is edible and tasty. 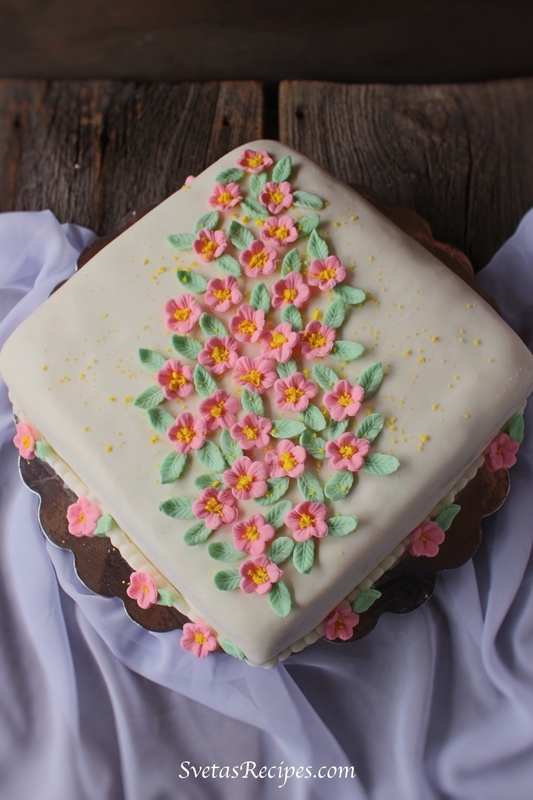 Origin: This cake is a classic Ukrainian recipe that I got from a friend, recently I edited the recipe so it would look and taste better! 1.) Separate your egg whites from your yolks. Add 1/4 of your sugar to the egg yolks, and 3/4 of sugar to your egg whites In a separate bowl. Beat on medium speed for 15 minutes. In a small bowl add your baking soda and pour your vinegar until it starts bubbling. 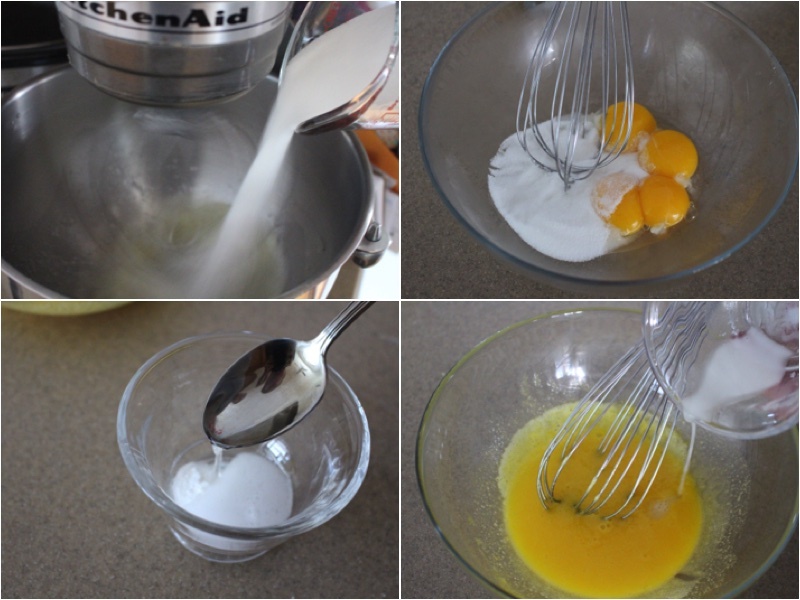 Add the baking soda mixture to the egg yolks mixture and mix together well. 2.) Firstly, add the honey to the egg yolks mixture and mix together well. Add your egg yolk mixture to your egg white mixture and beat on a medium speed for 3 minutes. Add your sifted flour to the bowl and mix well with a rubber spatula. Place tin foil into around the sides of the cake form and spray with cooking spray. 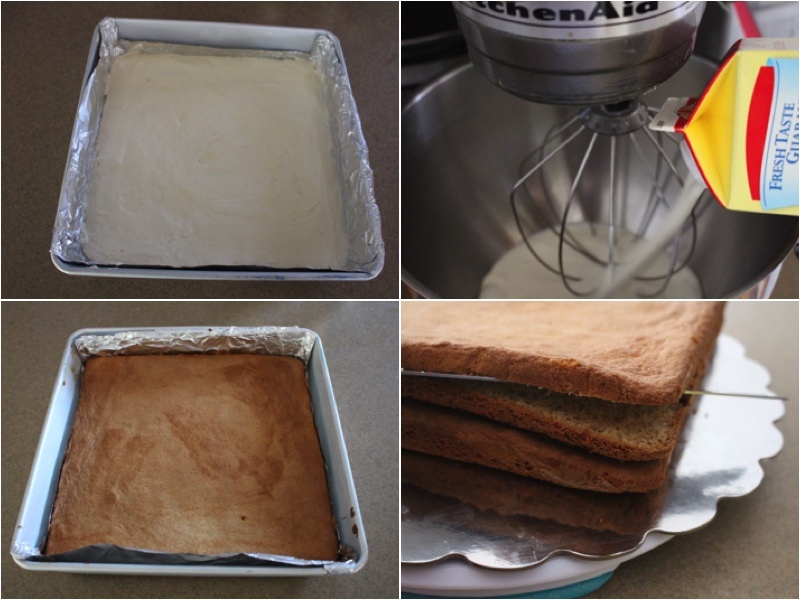 Split your dough into haves and place 1/2 of your dough into your cake form. 3.) Bake for 20 minutes on 350ºF take your cake layer out and let it cool. Repeat this process with your other 1/2 of dough so you have 2 cake layers. 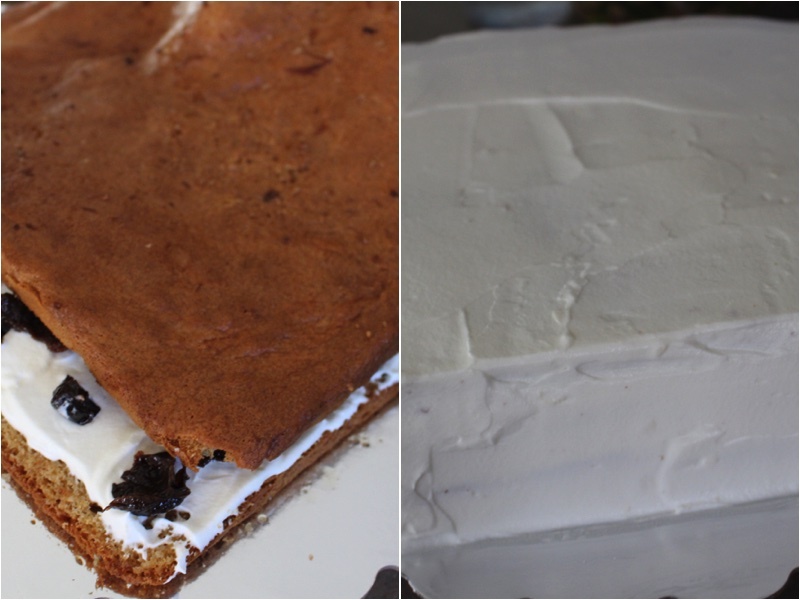 Cut both of your cake layers in half with a knife. 4.) In a large pot add your water and prunes. Boil for 5 minutes, take out the prunes and let them cool, drain the water into a cup and also let it cool. 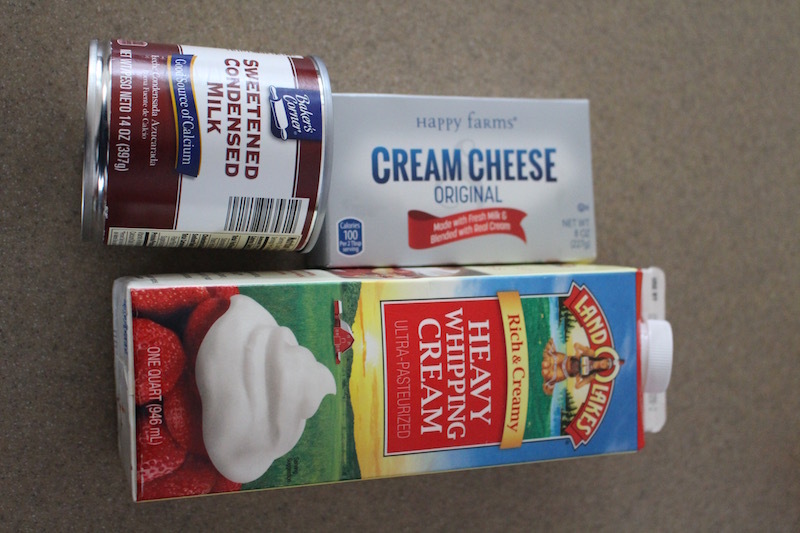 In your mixer bowl add your heavy cream and cheese cream and beat until it becomes soft and fluffy. Also add condensed milk and beat for 2 more minutes on a medium speed. 5.) 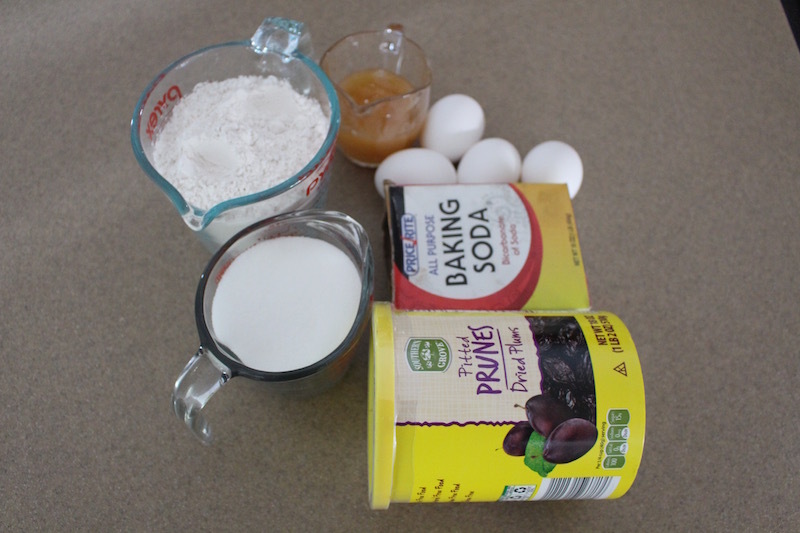 On your cake plate add one layer of your cake and soak it with the prune water from earlier. Using a spatula spread your cream, cut your prunes into 4 pieces (4:1 ratio) and place a considerable amount of prunes on top of the cream. Repeat this process with the rest of your cake layers. 6.) Cover the sides and top of your cake with cream and if you would like you can cover it with fondant and decorate as I did. Cut and Enjoy! Separate your egg whites from your yolks. Add ¼ of your sugar to the egg yolks, and ¾ of sugar to your egg whites In a separate bowl. Beat on medium speed for 15 minutes. In a small bowl add your baking soda and pour your vinegar until it starts bubbling. 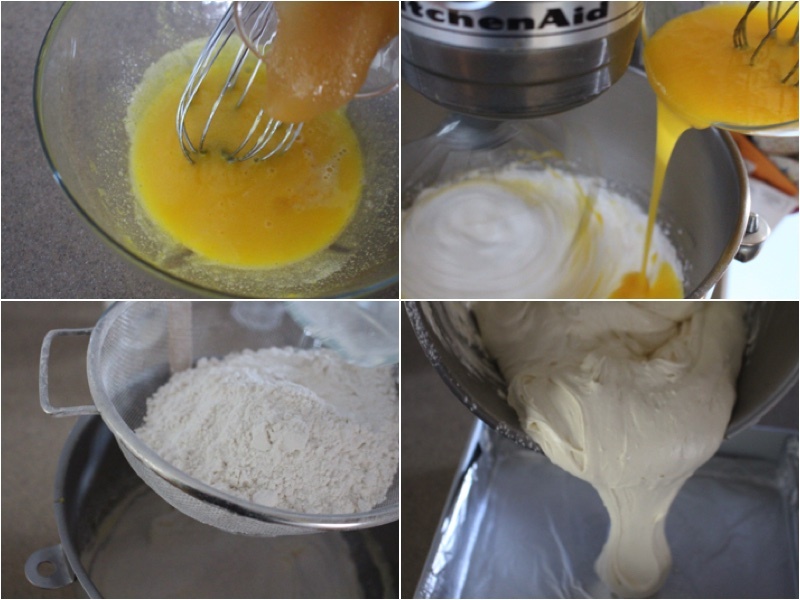 Add the baking soda mixture to the egg yolks mixture and mix together well. Firstly, add the honey to the egg yolks mixture and mix together well. Add your egg yolk mixture to your egg white mixture and beat on a medium speed for 3 minutes. Add your sifted flour to the bowl and mix well with a rubber spatula. Place tin foil into around the sides of the cake form and spray with cooking spray. Split your dough into haves and place ½ of your dough into your cake form. Bake for 20 minutes on 350ºF take your cake layer out and let it cool. Repeat this process with your other ½ of dough so you have 2 cake layers. Cut both of your cake layers in half with a knife. In a large pot add your water and prunes. Boil for 5 minutes, take out the prunes and let them cool, drain the water into a cup and also let it cool. In your mixer bowl add your heavy cream and cheese cream and beat until it becomes soft and fluffy. Also add condensed milk and beat for 2 more minutes on a medium speed. 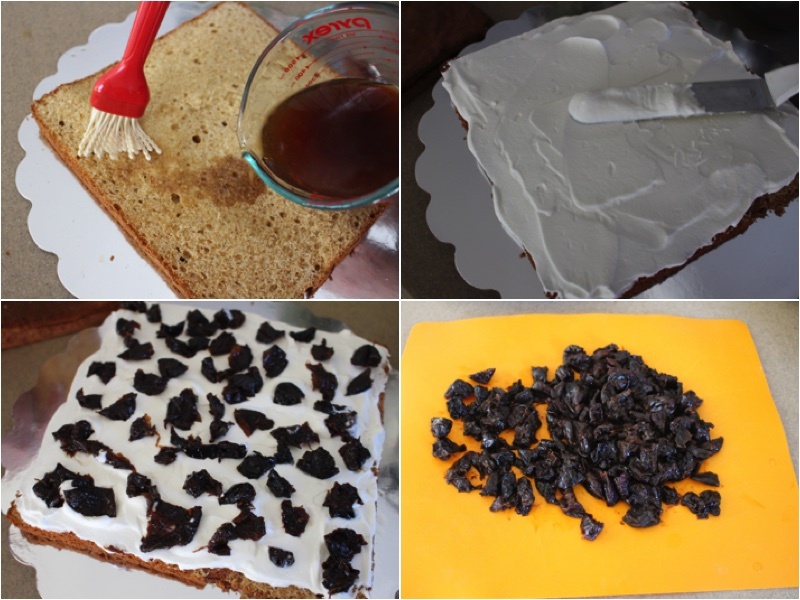 On your cake plate add one layer of your cake and soak it with the prune water from earlier. 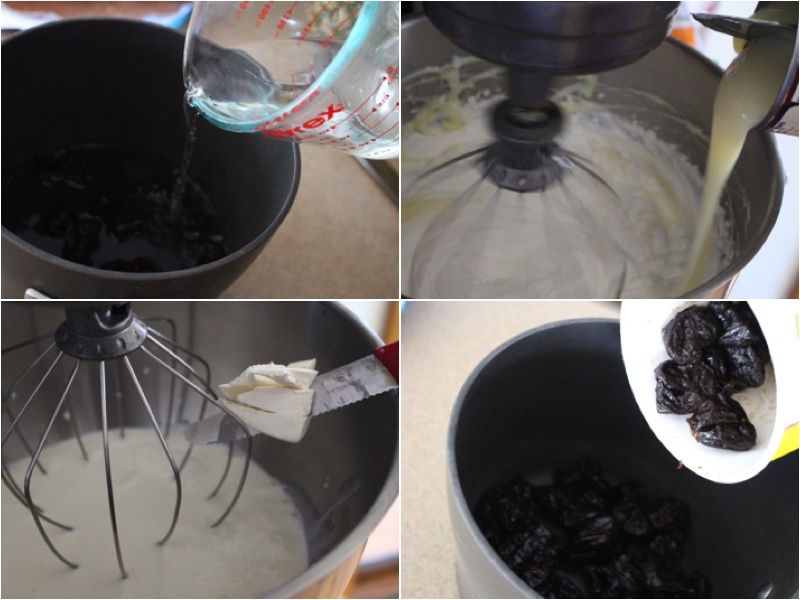 Using a spatula spread your cream, cut your prunes into 4 pieces (4:1 ratio) and place a considerable amount of prunes on top of the cream. Repeat this process with the rest of your cake layers. Cover the sides and top of your cake with cream and if you would like you can cover it with fondant and decorate as I did. Cut and Enjoy! unique look and sweet af!